I know, it has been a VERY long time since I've posted anything. There are numerous reasons behind that, but mostly I haven't had much sailing/cruising/live-aboard or "escaping the rat race" related to write about and, essentially, that is what this blog is all about. 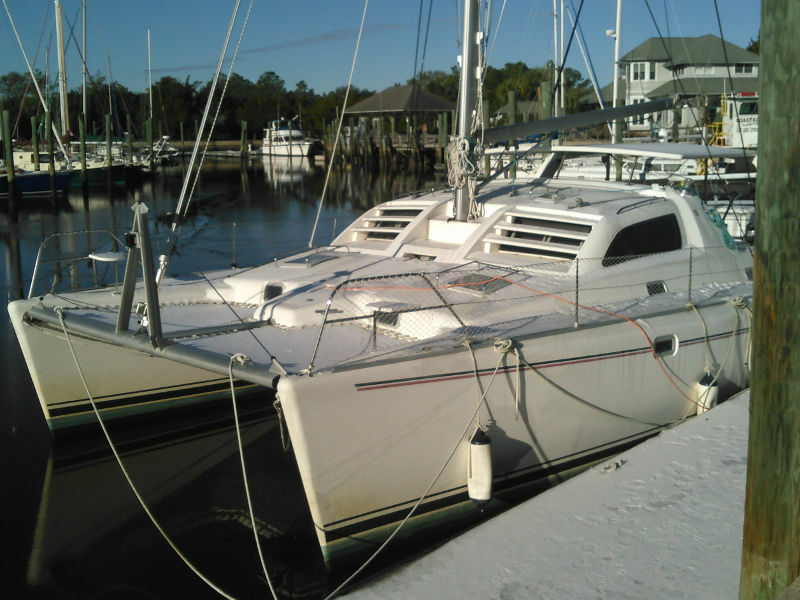 It had been just over a year since we left the boat and put her up for sale. So, why am I posting now...well...I have returned to the boat. I'd like to say that I was here to prep the boat for a trip to the islands or some other warm and picturesque destination, but that is not the primary task. The person taking care of our boat had identified a few minor issues that started popping up, so the main purpose of the trip is to check up on the boat, perform some maintenance and repairs. I'm also here to try and figure out what to do about the sale of the boat, the broker and the listing company. That whole mess has become quite a disappointment to us, however, that is a story for another time. I arrived at the boat last Monday, just as the unusual winter weather was releasing its grip on the east coast. It was rather bizarre to see snow on the side of the roads here while there was no snow in Colorado or much of the drive out. 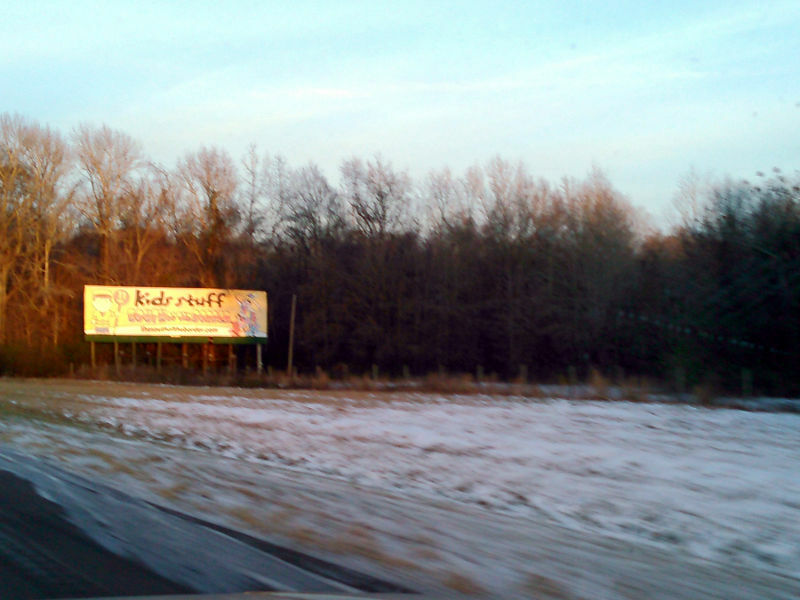 Driving along I-95 in South Carolina there was snow on the side of the highways. There was also evidence that it had been plowed since all the lane reflectors were neatly piled along the side of the road with the last remnants of the snow. While it had been several days since the snow fell, there was still a fair amount on the boat. Snow covered much of the deck and the trampolines. Under the snow was a good inch thick layer of ice. It took about half a day just to clean it up so I felt safe loading my stuff on the boat. Snow just doesn't look right here. Of course, only a couple days later I was in shorts and a t-shirt performing a much needed wash of the hull (that is, after the marina turned the water back on at the docks). It seems that a few weeks around November or December, all the birds along the east coast congregate in the area for the sole purpose of making a mess of the local boats. It took about 6 hours for me to do a basic wash of the boat. Finally, the boat is looking respectable again. Over the next few weeks I'll be continuing my efforts to get her back into a travel-ready state and deal with the brokerage issues. Hopefully the weather will continue to stay warm. I have missed your blog and often wondered how the transition back to land has gone. I'm sorry the boat sale has been such a hassle. It's just like a boat project....it should take 5 minutes but really takes 3 years of frustration and despair! It's a great boat and I hope you can get it sold soon. Well, the transition has been difficult to say the least. The sale issues mostly arise from problems introduced by those we trusted during the purchase. So much for hiring "professionals" to take care of the details.